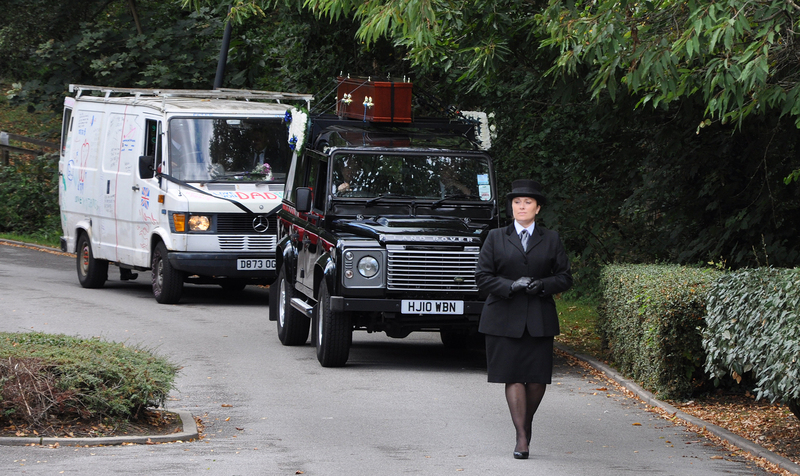 Eccentric builder Peter Southgate got a bizarre send-off at his funeral when his coffin was taken to the crematorium strapped to the roof of a Land Rover. 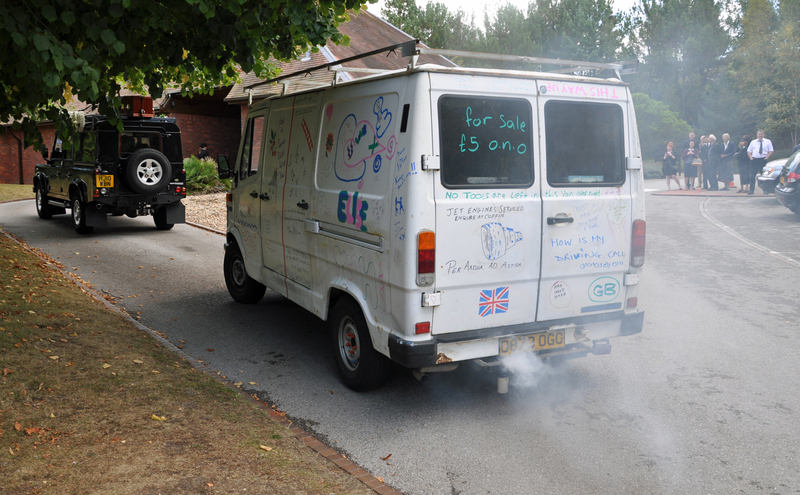 It was followed in the procession by his beloved Mercedes van that friends and family had decorated with messages, and it coughed out thick smoke all the way. Funeral directors from Ives & Shand in Parkstone – part of Dorset’s Douch Family Funeral Directors – were glad to help the family with their unusual request. 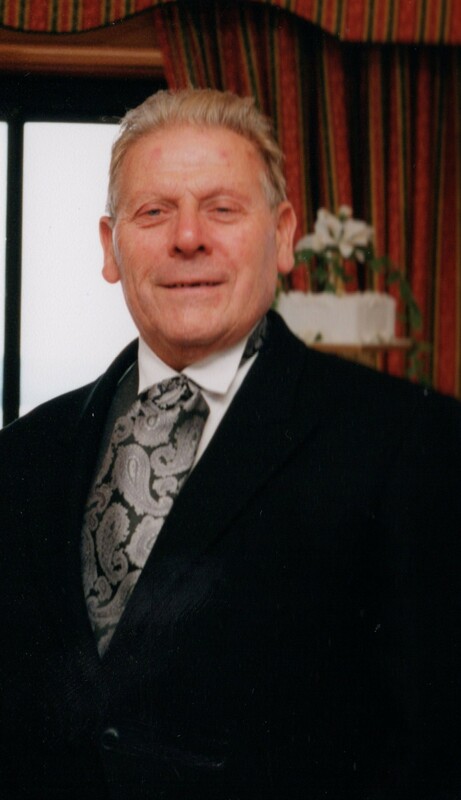 Grandfather Peter, who lived in Poole and died aged 78, was a colourful character and it was thought that the arrangements for his final journey should reflect his personality. His son Heath – named after Heath Robinson – said: “Dad came from London and moved down here about 12 years ago because I had come here. “He was a builder like his father, but he had other hobbies such as classical music and dancing – he appeared in Come Dancing in the 1960s. “He loved inventing contraptions and stripping engines down and he always took over all the space available in the house; driveways, gardens, even the kitchen. “We always joked that it looked like Steptoe’s yard and at his funeral we’d play the Steptoe and Son theme tune, which we did. “He was quite an eccentric and you’d find him on a roof putting in a chimney while wearing his pin stripe suit. “His old Mercedes van was something he loved and he somehow managed to keep it going so we decided it should be part of the procession. I scrapped it the day afterwards. Peter’s funeral was held at Poole Crematorium and Funeral Director Marcella McDonagh said: “It was one of our more unusual funerals. “We were recommended to the family and we always like to accommodate our clients’ wishes, no matter how unusual the request might be.